Yoshino Blossom is a new song that was released by U2 as part of the reissue of The Unforgettable Fire album. The song itself is an instrumental so there are no lyrics! 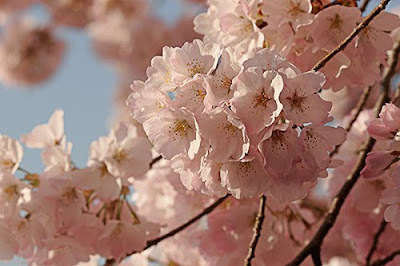 Yoshino Blossom presumably refers to the Japanese Cherry Blossoms and this is perhaps the clue that the instrumental is to evoke ideas of the atomic bombs being dropped on Japan and hence U2 using the title for the album and the song, The Unforgettable Fire. The actual Unforgettable Fire was an art exhibition which reflected on the effects of the bombs. Also released at the same time as this song was Disappearing Act. U2 would later revisit the topic of the Atomic Bomb with the album How To Dismantle An Atomic Bomb. Check out some more pages on the meaning of U2 lyrics: U2 lyrics that explore Jesus, Yahweh and The Good Book, how Elvis was the King, or U2 songs that name check real people.